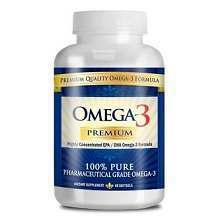 This product is an Omega-3 dietary supplement that is made from natural ingredients. Nutrilite Omega-3 complex contains essential Omega-3 fatty acids (EFAs) that are crucial for normal and healthy bodily functions. The body is not able to naturally synthesize these essential fatty acids on its own, so the only way to get them is from the food we consume. Research has shown that the typical American diet is extremely deficient in Omega-3 fatty acids, but contains a high amount of Omega-6 and Omega-9 fatty acids. This is clearly not a balanced way to maintain a diet, as it eventually affects cognitive focus and physical performance. The main source of Omega-3 fatty acids is fish oils, specifically from deep-sea fish. The ingredients below are found in Nutrilite Omega-3 complex, though the specific amounts are not known. Eicosapentaenoic Acid (EPA) – The evidence linking EPA to emotional, physical, and mental health is inconclusive. Docosahexaenoic Acid (DHA) – The evidence associating DHA with a reduction of bad cholesterol is inconclusive. Alpha-linolenic acids (ALA) – This fatty acid is useful in preventing hardening of arterial walls, reducing high blood pressure, averting heart attacks, and bringing down cholesterol. Omega-3 fatty acids – Studies done on Omega-3 have shown that it has the ability to lower triglyceride levels and blood pressure. Omega-3 Complex has a recommended dosage of 1 capsule to be taken every day. It is important not to take more than the recommended dosage without the advice of a health practitioner. 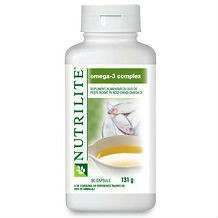 Nutrilite Omega-3 complex does not have its price information listed on the product website. Prospective buyers wishing to purchase this supplement will be forced to go to other vendors who stock the product in order to know the retail price. There does not seem to be any kind of guarantee being offered when Nutrilite Omega-3 complex is ordered. In case the product proves to be ineffective or unsatisfactory to a customer, there is no recourse to be had. The product source will not give a refund. Nutrilite Omega-3 complex contains ingredients that provide health benefits to the body. However, these ingredients are not accompanied by specific quantities used to manufacture the supplement. It is therefore difficult to gauge the potency of Nutrilite Omega-3 complex. There is also no price listed on the website, which is a glaring omission. Customers use the listed price to make decisions whether to buy or not, so it is strange that this information is omitted.